In the last few years there has been a lot of research on platelet-rich plasma (PRP) injections and at Orthopaedic Associates of St. Augustine we’re proud to offer this advanced form of treatment. PRP injections have especially become popular among athletes following an injury. Pro athletes like Tiger Woods, Kobe Bryant, Rafael Nadal, and many others have received platelet-rich plasma injections for a variety of injuries. The majority of patient injuries we see are treated with a combination of physical therapy, medication and surgery. However platelet-rich plasma injections have been credited with helping patients, especially athletes, return to active status more quickly. As a result we administer PRP injections as treatment option. Our blood is made up of red blood cells, white blood cells, and platelets. Platelets are best known for their role in clotting blood, but they also contain a high number of proteins (growth factors) that are very important in the healing process of injuries. 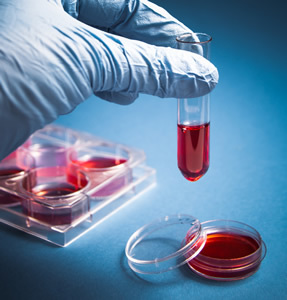 Platelet-rich plasma injections involve taking a sample of a patient’s blood, separating the platelets from the blood cells, and increasing the platelet count into a concentrated dose through a process called centrifugation. The blood is then injected back into the site of the injury to speed up recovery. Although the efficacy of platelet-rich plasma injections is still being researched, such treatment is very promising. The risks associated with PRP injections are minimal and are similar to those found with routine cortisone injections. If you are in the process of recovering from surgery or an injury and are interested in platelet-rich plasma injections, we encourage you to request an appointment or call 904-825-0540, so we can determine whether you’re a candidate for the treatment.